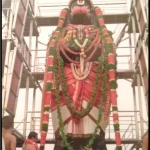 Categories: Hanuman, Krishna, Sri Sri Muralidhara Swamiji. To behold objects beyond the perception of the eye, we seek the help of binoculars or telescopes. Likewise, when the mind attains one-pointedness through meditation, it can perceive subtler thoughts beyond the comprehension of the intellect. Every now and then, Sri Swamiji shares with us such subtler aspects of divinity. Throughout Margazhi month (ninth month in the Tamil calendar), Sri Swamiji performed special pooja to Sri Premika Varadhan at Madhurapuri Ashram. Adhyayana Utsav (celebration of the Nalayira Divya Prabandham) was also celebrated. During one such pooja, Sri Swamiji realized that his mind was going back and forth between Lord Krishna and Lord Hanuman. 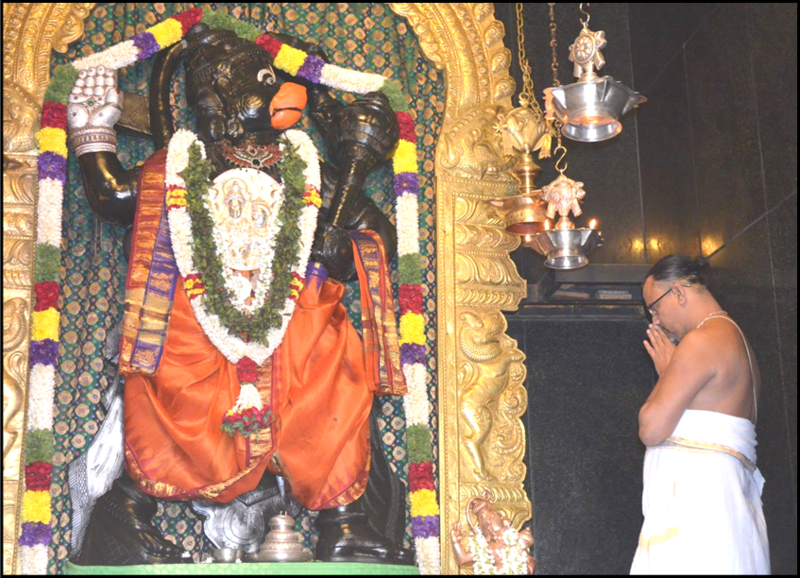 During the Moola Nakshtra (‘Moola’ – the birth star of Lord Hanuman), Sri Swamiji visited Bangalore. 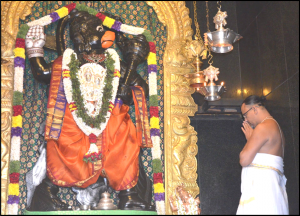 There, he visited Sri Sundara Anjaneya, who had been recently installed (but not yet consecrated) in the Sri Veda Vyaasa Purana Patashala premises (at Kalkere, Ramamoorthy nagar) and himself performed ‘Tirumanjanam’ (sacred bath) and nicely decorated Him in the evening. After having adorned Him thus, Sri Swamiji while performing Harathi witnessed something divine! He saw Hanuamanji’s chest pulsating as if Hanumanji was breathing! 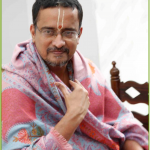 He experienced the divine presence of Hanumanji there, and realized that the ‘Prana Prathishta’ (a ceremony of infusing life energy into the deity) had already taken place on its own accord! Sri Swamiji knew then that this Sri Sundara Hanuman, would fulfill the heartfelt, righteous prayers of His devotees without fail. 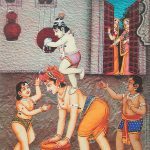 One Response to "Cherished Memoirs 11 – Lord Krishna and Lord Hanuman"
Jai Shri Ram!! May this Hanuman bless all the devotees with all good things. Jai Shri Ram!! !